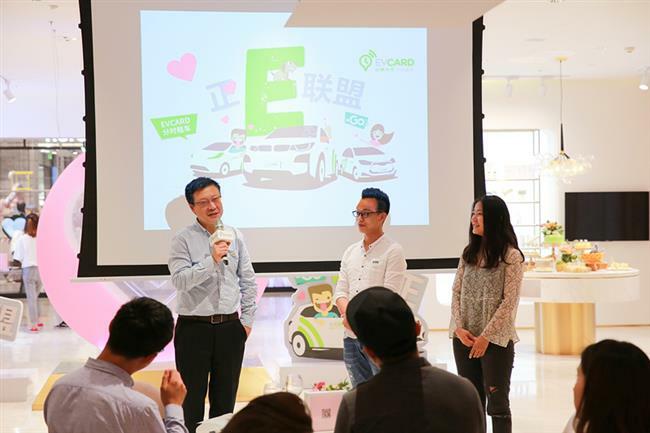 EVCard, one of the country's biggest hourly car rental service providers, has reached out to residents in 18 out of 26 cities in the Yangtze River Delta region by this month. EVCard general manager Cao Guangyu (left) communicates with local users in Shanghai on Wednesday. Seventy percent of cities in the Yangtze River Delta region are covered by EVCard, one of the country’s biggest hourly car rental service providers. According to the company’s latest report, EVCard service spots have been set up in 18 out of 26 cities in the region. By this month, the service is now available in 62 cities around the country, with about 64,000 reserved parking slots and over 2.4 million users. EVCard first launched its services in Shanghai in January 2015. There are over 7,700 EVCard electric vehicles operating in the city. Cao said the company also encourages car sharing and inter-province driving among its users. “EVCard’s high coverage in the Yangtze River Delta region makes daily inter-province transport possible for users. Users with similar routes can form groups and carpool."